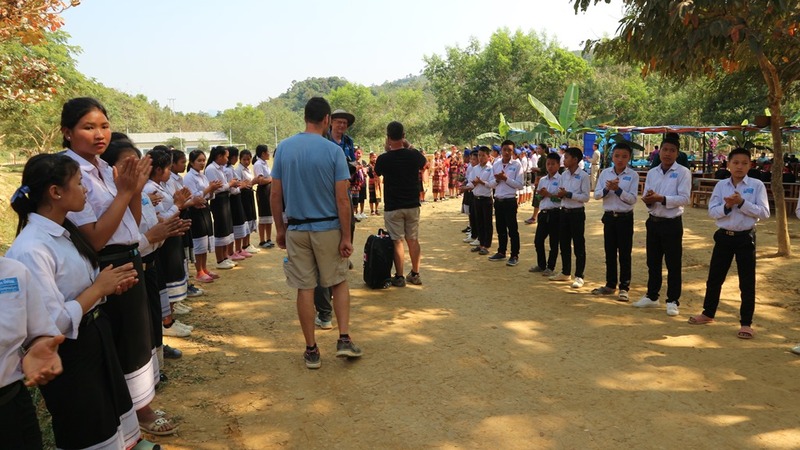 During this last week, we were visited by another group from Canada, just in time for the celebration of the conclusion of our second large water project at Pak Mong Secondary School. 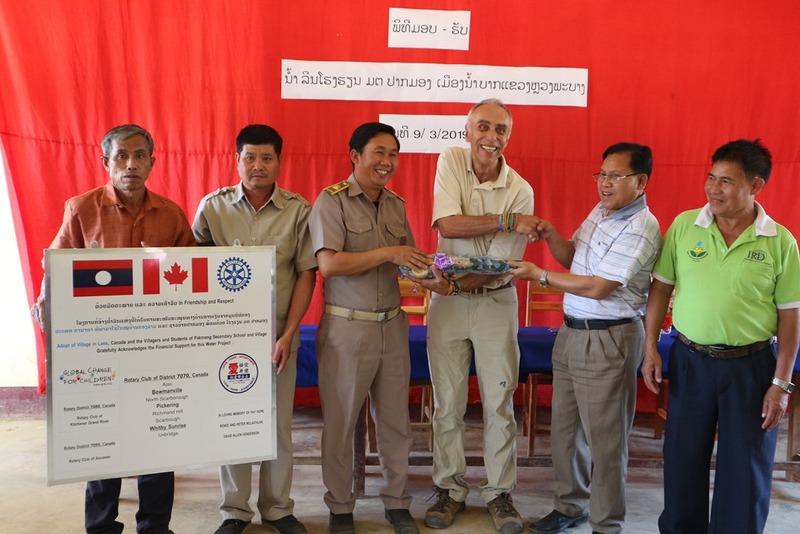 The official pass-the-torch, or shall we say pipe wrench to mark the handover of the project to village and school officials. 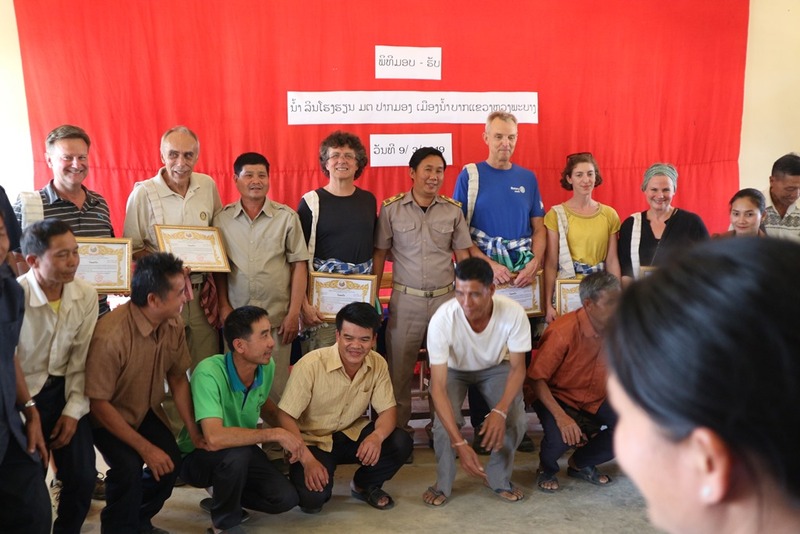 From left to right; Village Chief, Primary School Director, Secondary School Director, Steve, Director of Hygiene for Nambak District and Engineer. Then it was the Secondary School Student turn at dance. …and a baci ceremony. The students had been sent home with roast goat to share with their families for lunch, as thanks from the charity. It is they who did all 5km of trenching and burying of the pipe. At the back, we had added a second pipe to go to the village also. 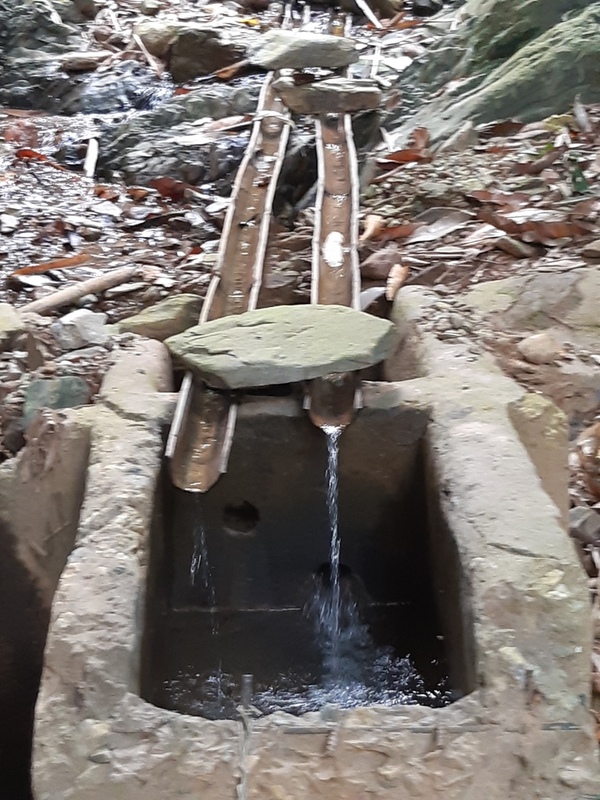 With not enough water in the village, this output pipe was located about half a metre about the pipe going to the school so the school wouldn’t suffer from the village using all the water. We were only aware that the village didn’t have enough water during the final stages of construction. The sign’s final resting place, mounted to the school wall. 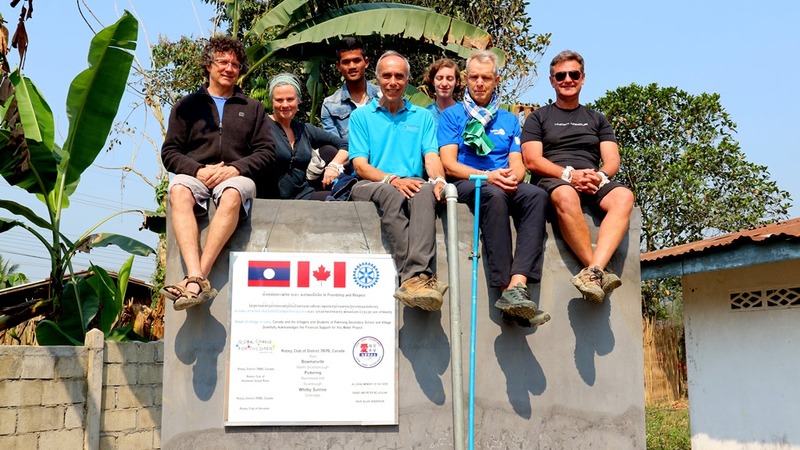 This water project was made possible from a special grant from Global Change For Children, the Kitchener Grand River Rotary Club, the Ancaster Rotary Club, 8 clubs from Rotary District 7070 including Ajax, Bowmanville, North Scarborough, Pickering, Richmond Hill, Scarborough, Whitby Sunrise and Uxbridge. We wold also like to thank a Malay Group from Johore Malaysia, Kevin Hope In Loving Memory of his wife, Fay, Renee and Peter McLachlan and Dave Henderson for all of their support. 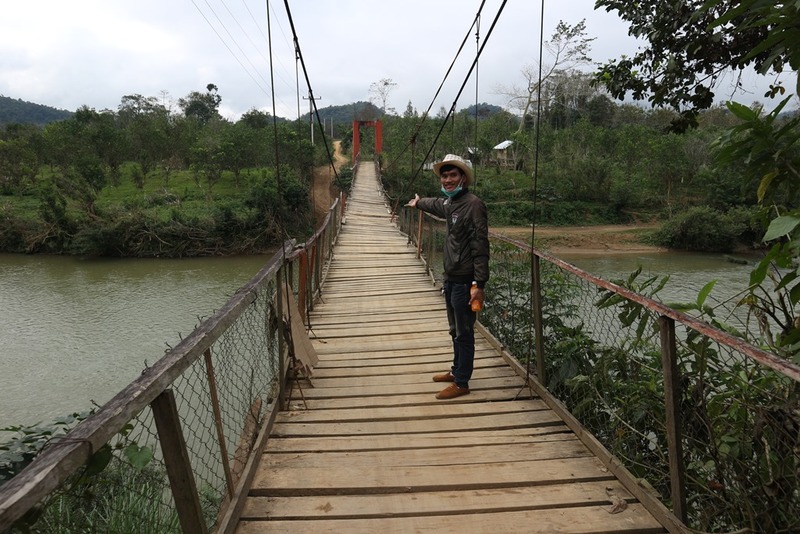 We headed into the very rural village of Dock Lao, only accessible by truck or tractor. We opted for the truck of course. 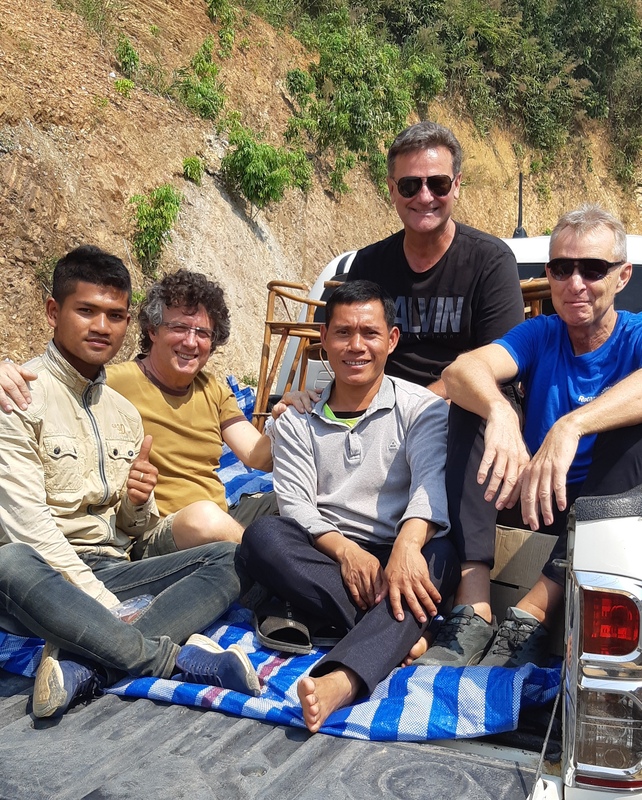 From left; Bounsom, Pierre, our driver who couldn’t take the minivan, Kevin and David. The rest of us stayed in the front. 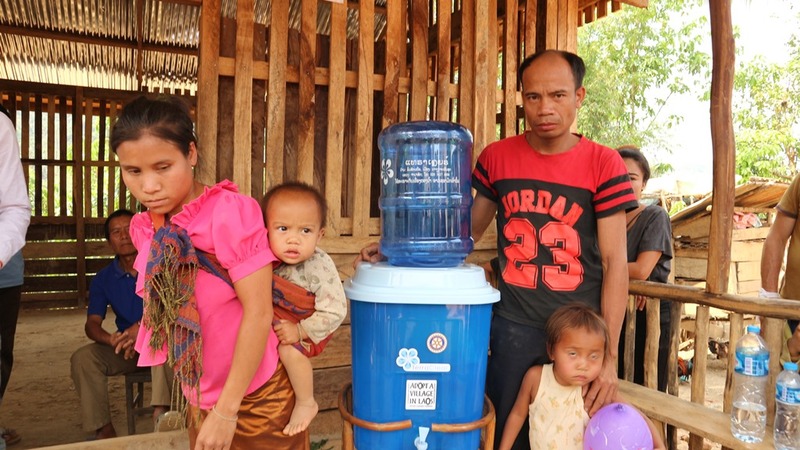 Dock Lao was perhaps our most unusual village in the more than 45 villages we have distributed water filters to. They were extremely grateful and humble. but a large percentage of them were blind. While the pictures were taken, 11 people of the 65 families were blind (at least one blind eye), 2 had medicated strips on their foreheads and one child was mentally challenged. Even the person who performed the baci ceremony was legally blind and was only 26. 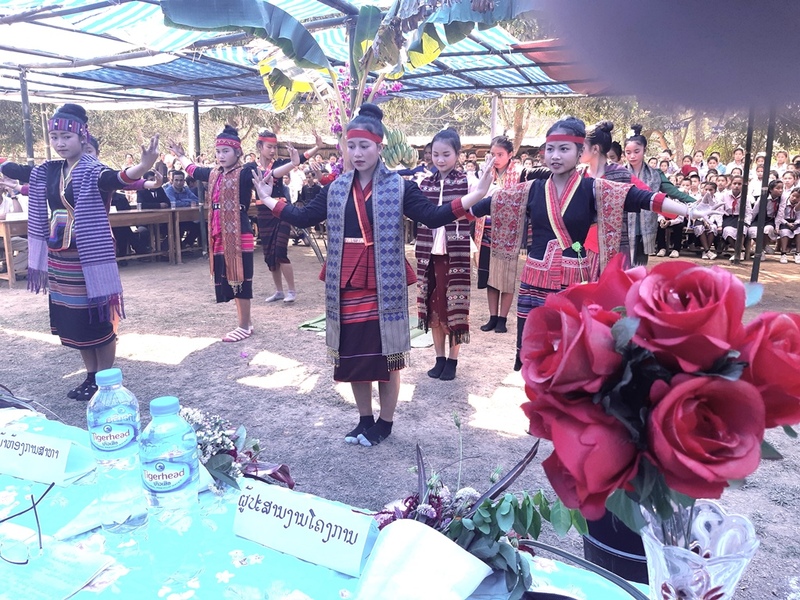 Siphan mentioned that his diction was above and beyond the elders abilities with the traditional Khmu language. I wish we could find out more about what has caused so much blindness in this village. It could be hereditary. We also noticed that their main crop is the sap from specific trees, or resin. Siphan confirms that it is used as glue or an additive to glue, so one can’t help wonder if the way the glue is extracted from the trees and prepared for shipping. They generally scrape it off the outside of the bark and bagged for shipping. It is the villages primary cash crop and funds used to bring electricty and a road several km to the village. Both Mother and Daughter are blind. 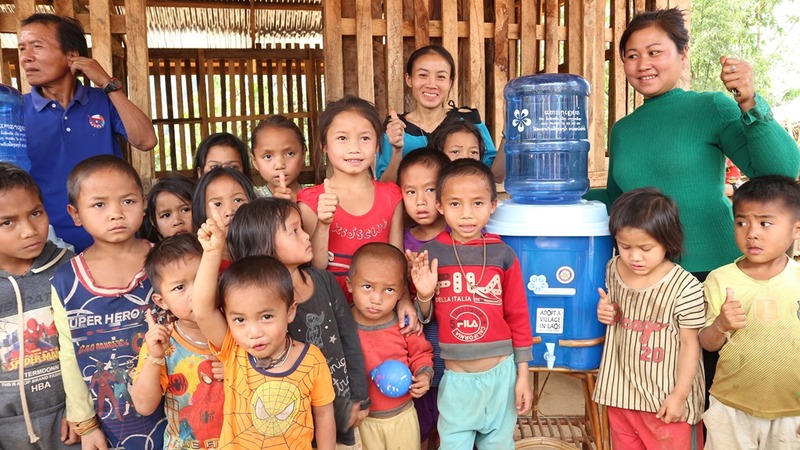 On the way back we stopped at a central location for distribution of another 22 water filters at Siphan’s farm. Each of these villagers lives outside the village, likely nearer their rice fields. Do you think this fellow seems grateful? With the last of our guests pretty much gone for the season, we are now busily doing the bookeeping, preparing a series of reports and reviewing the many requests we have received for assistance. 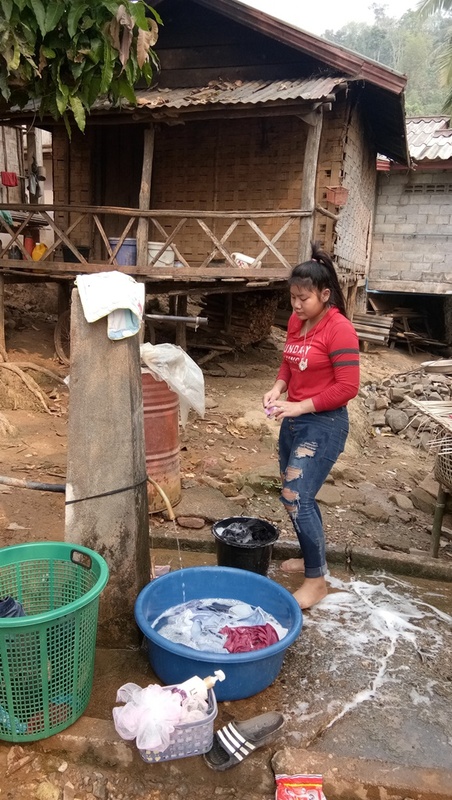 We received another 10 requests yesterday for water related projects and have heard there are more coming…a tad overwhelming. Our cutoff is just a week away for requests for next season, because our own deadlines are looming. Just a couple of days after our previous group headed home, the next group arived from Canada, and Thailand. 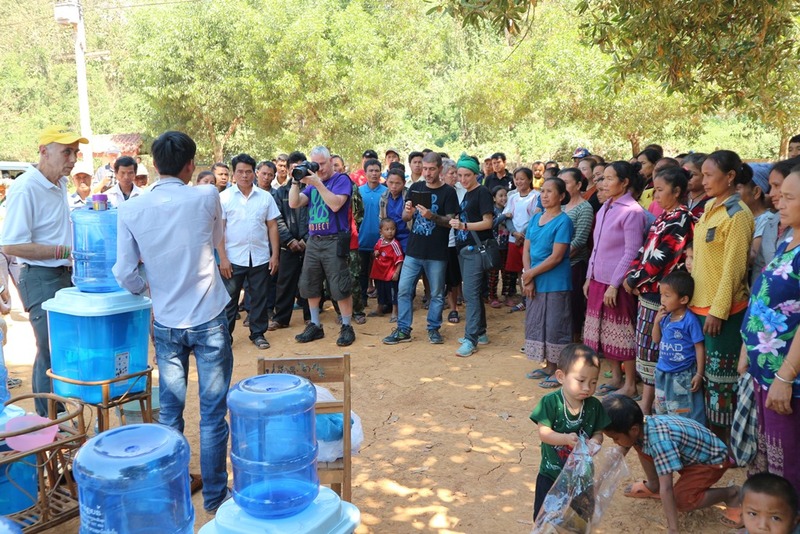 First stop was to the village of Meung Xuen, a rural village across the Ou river where we had provided a permanent water supply a few years earlier. 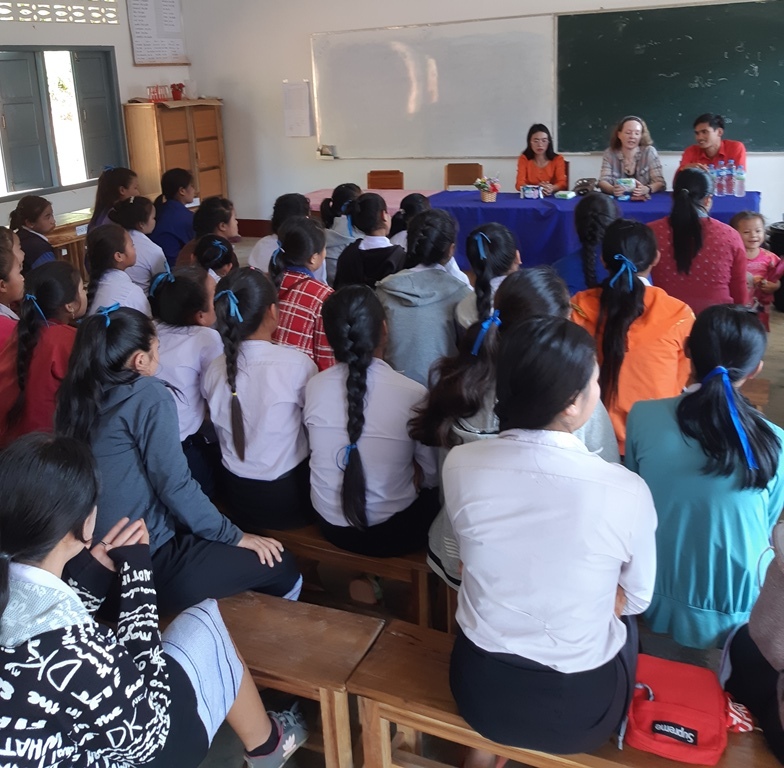 With our pilot project to try to get more girls to attend secondary school, now over, it was decided this village would be an ideal location for the next phase. 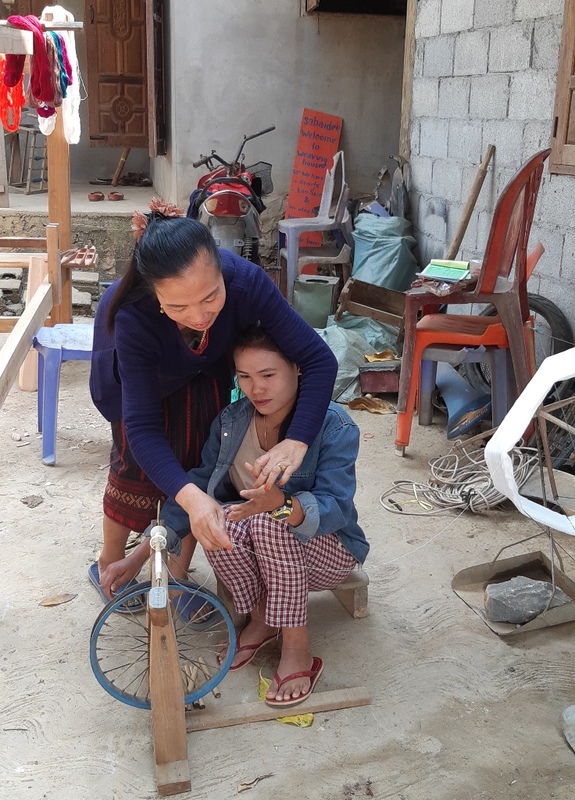 The men did not participate in the feminine hygiene training of course so Keo (Siphan’s girlfriend) and Christine were delighted to participate. Siphan was there to assist in the translation for Christine. 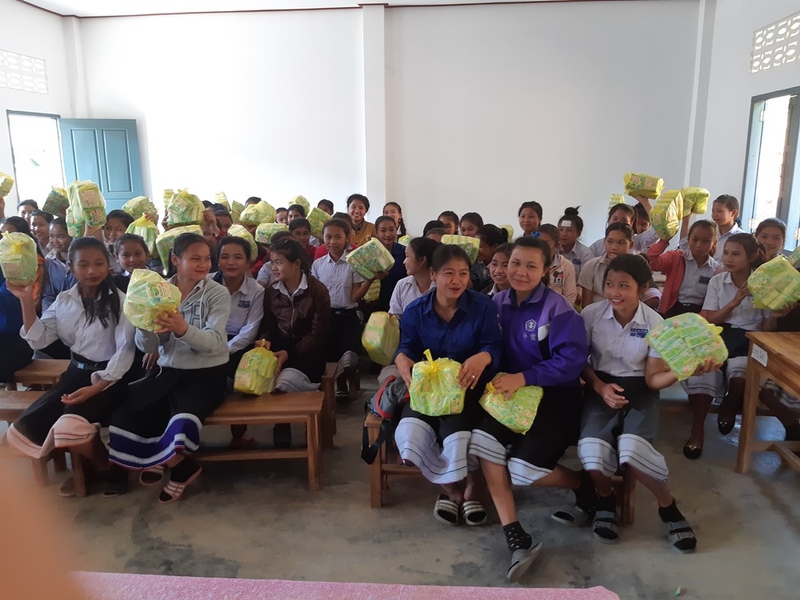 The girls were pretty happy to receive the feminine pads and we asked them to contact their friends who are not going to school, to enroll in School for September. 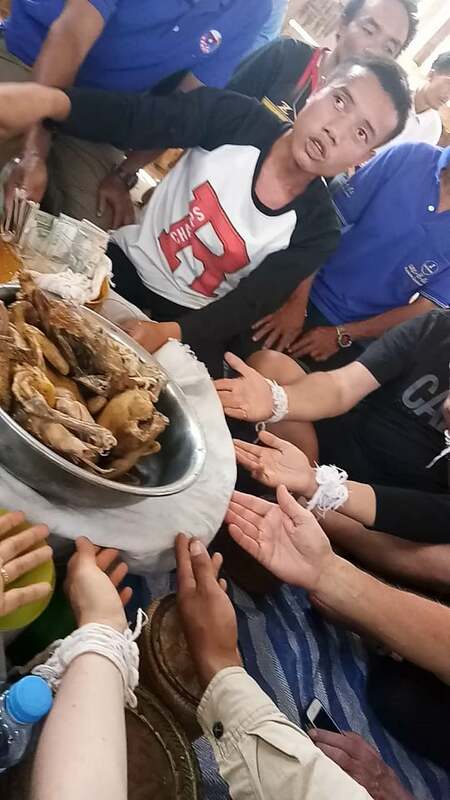 With an overnight stay in Nong Khiaw, we headed downriver by boat to the villages of Houay Hang and Had Huan. 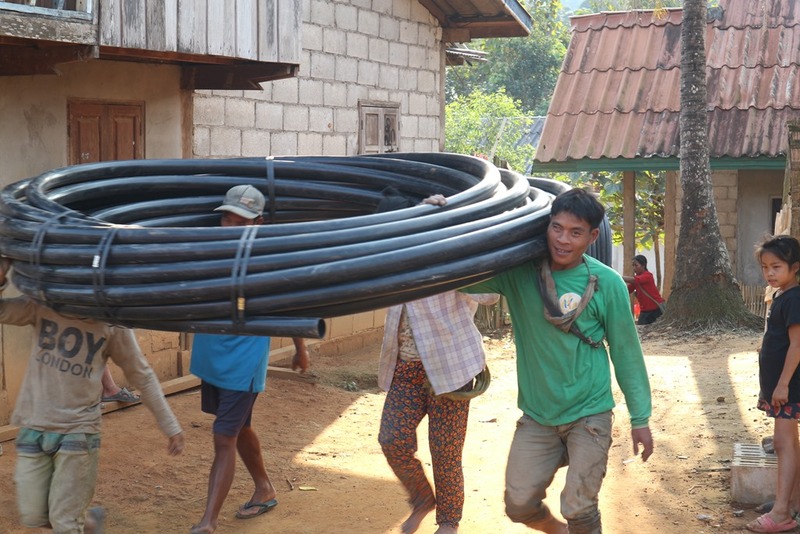 In both villages we also delivered replacement pipe and other materials so their dams could be repaired or replaced. Had Huan is ongoing and pictures will be posted in the near future. 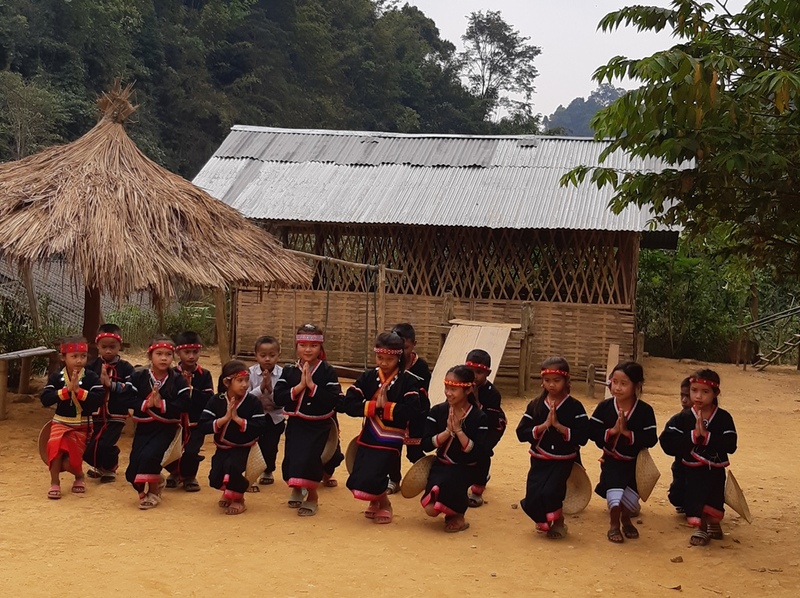 Our guests were truly impressed with the villages and their culture. Both villages performed for us. Here are a couple of highlites. 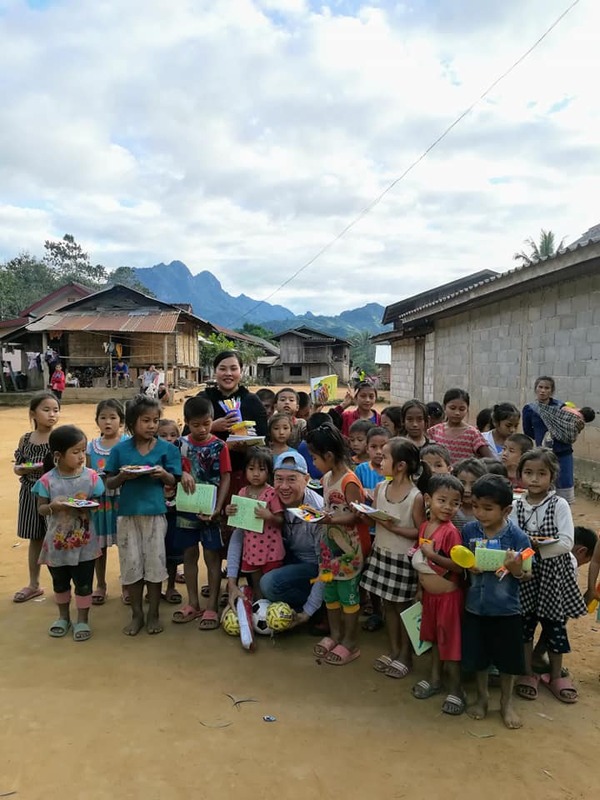 It was a bit of a challenge to distribute filters to both villages in one day, as they really wanted to celebrate their good fortune and offer their gratitude. This is just one of over 150 systems distributed that day. Unfortunately, not many pictures were taken in these villages, due to the flurry of trying to get a picture of every family with their filter. More will be provided upon the conclusion of the water projects. 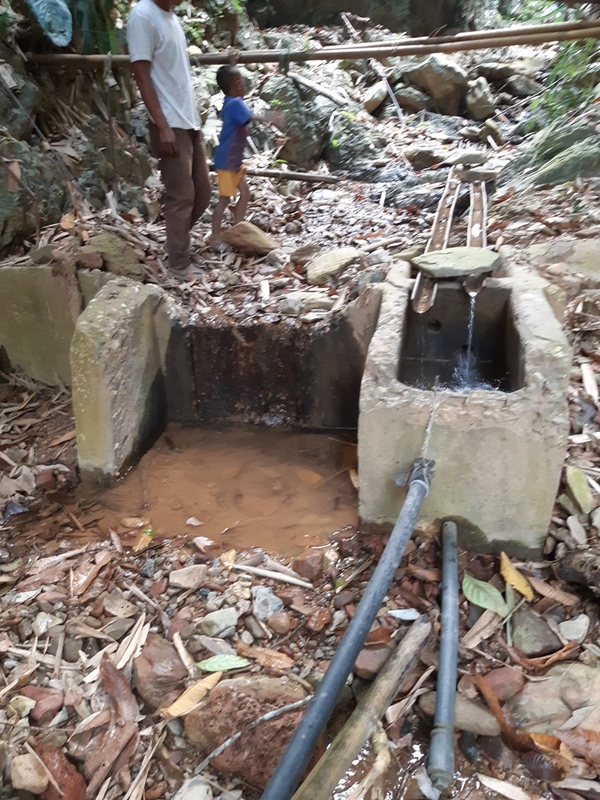 We have been overwhelmed by the number of urgent requests from various villages across Nambak District for permanent water supplies, significant repairs to existing ones (damage caused by the August monsoons), water filters (over 1200 in the last month), and school support for the most part. We received 10 requests yesterday alone! As we continue to review and summarize the requests, I am happy to report that we have made significant headway with several completed projects this season. 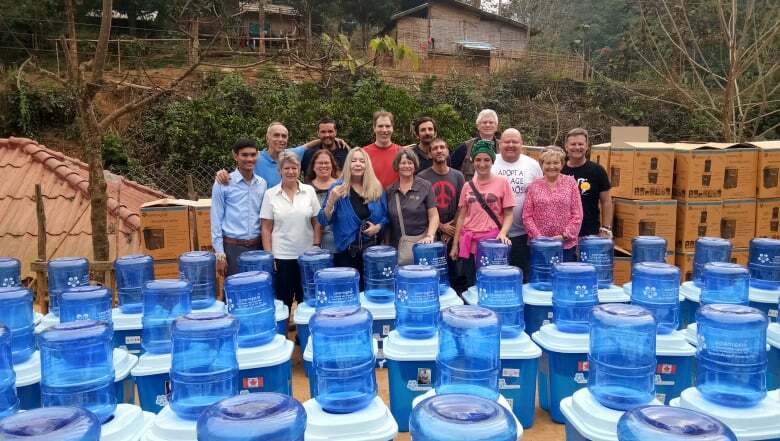 Here are some highlights from a diverse group of people who visited us in early February to assist with the distribution of water filters to four villages in four days. 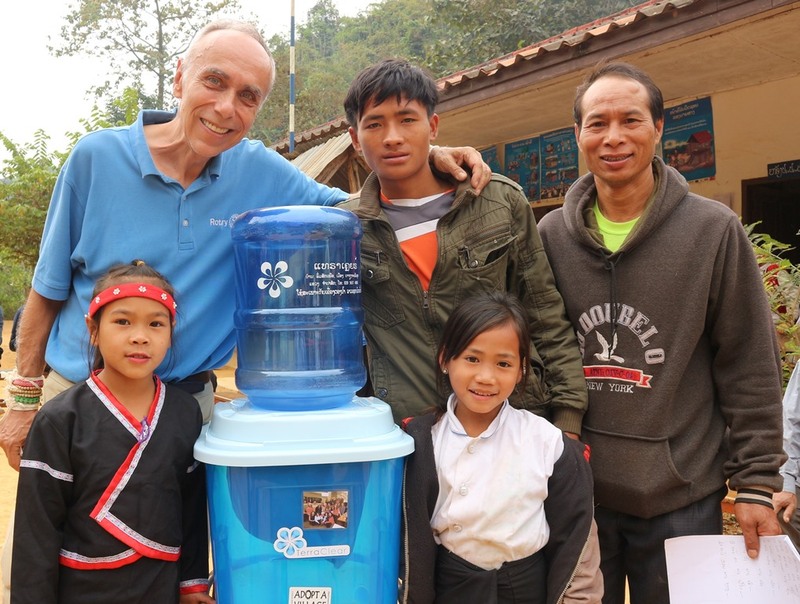 On Day 1 of our field trip, 200 water filters were distributed to Ban Xiengda, the same location the Ladner Rotary group sponsored the constrution of a permanent water supply for this large village. There is our team at the very back. Our Amazing Group of Volunteers and Donors. Clockwise from left; Siphan, Steve, Fabrizio (Italy), Beau (New Westminster, BC), Ricardo (Italy), Chris (Ladner) Kevin (Saskatchewan Canada), Diana (Ladner, British Columbia, Canada), Mike (Ladner Team Lead), Serena and Massimo (Italy), Penny (Ladner), Dawn (New Westminster), Kathy (Delta, British Columbia), Kirsten (Denmark). Missing from the photo is Roland (Brampton, Ontario, Canada). He was behind the lens. 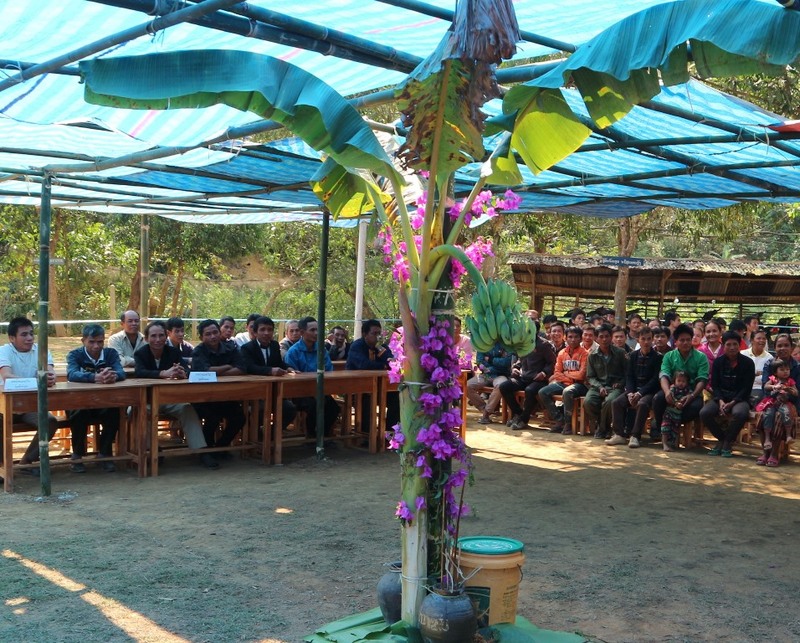 Villagers listen intently during the training session. At the end of the session several villagers were picked out of the crowd to answer specific questions and were given a Tshirt if they got the answer right. Roland is behind the camera. 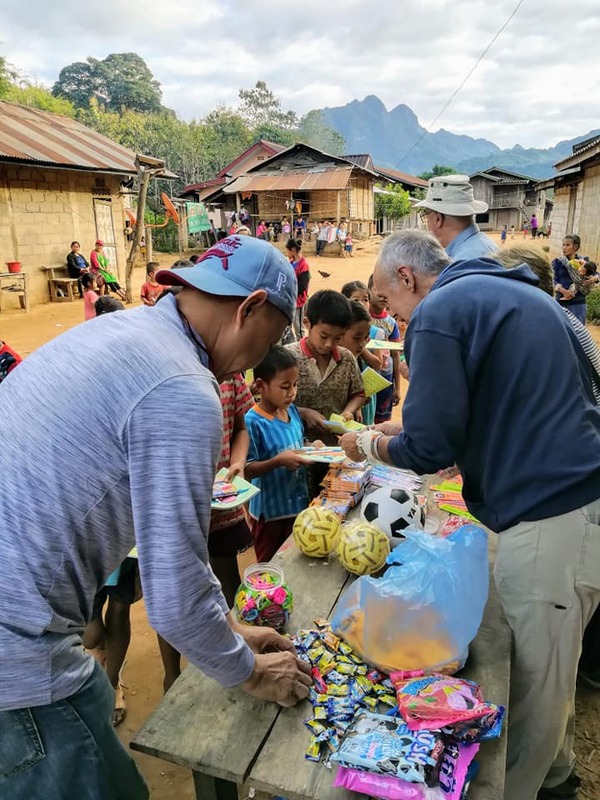 After a Baci and celebration, we continued to Nong Khiaw for the night and then headed to Mokok, to distribute water filters and to do the official handover of Rotary Funded Water Project to the village. In this village, we built a dam, about 5 1/2 km of pipe, a large water tank and ran water to Namduen secondary school and village of 78 families. This was a special treat for our guests of honour. What a reception! All 290 students awaited our arrival clapping in unison as we arrived. It was an emotional greeting. Performers in traditional dress were waiting for us. Others presented flowers and the elders greeted as we entered the large tarped area. Village Heads, Representatives and families. We can just imagine the number of hours they spent preparing for our arrival. Water, the key to life is no small matter. Students rushed to get a seat. There wasn’t enough room for everyone but they sure squeezed in. Several performances, lots of food (some of it edible) and wonderful people. Note the centre front dancer in her sock feet. 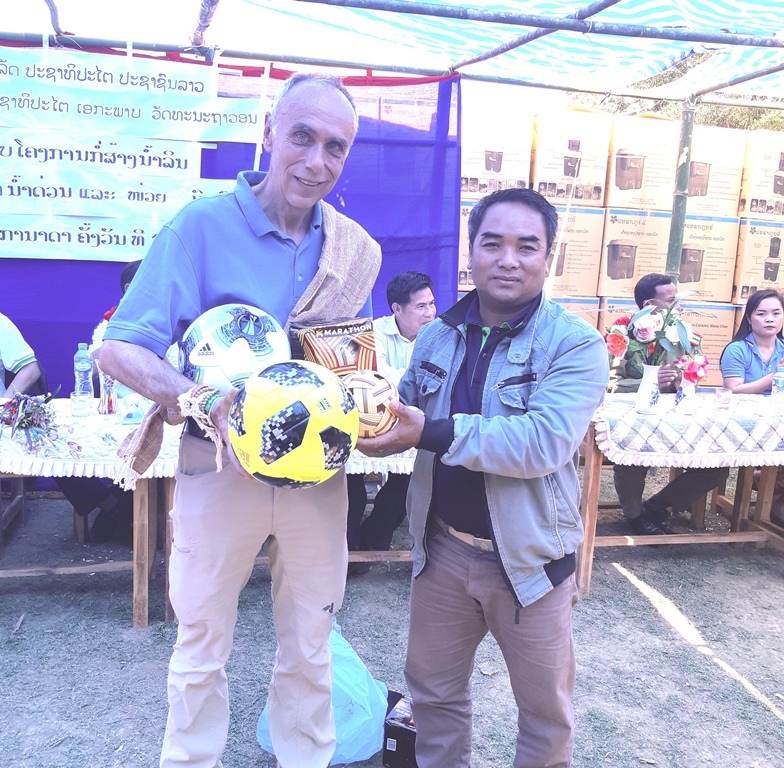 Soccer, rattan balls and nets were offered to the school director. Each of our team members were given a handmade scarf, as a small token of their appreciation. 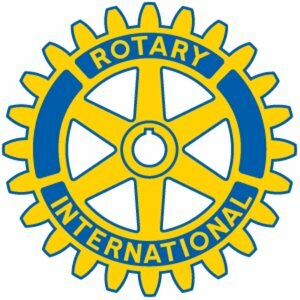 Thank You Rotary for allowing us to make this happen!! 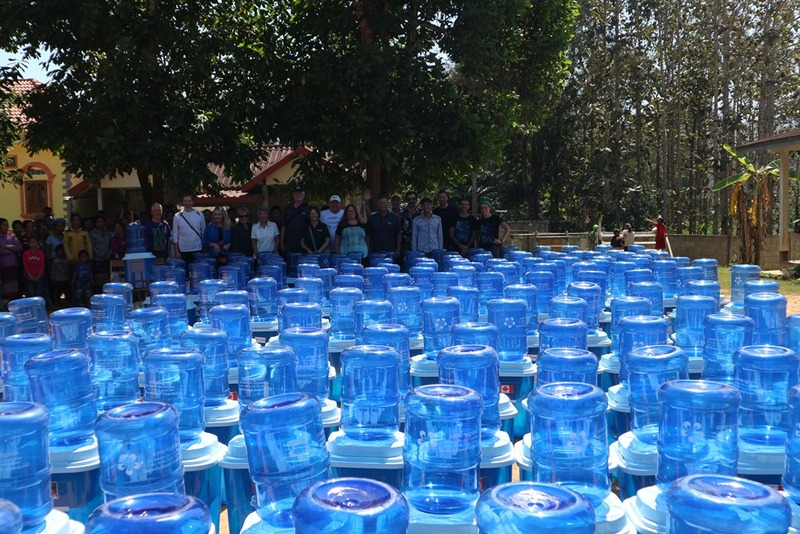 We also distributed water filters to every family. It was a long, fulfilling, emotional day. Next up…Houay Phoung. This small village also went to extra efforts to show their gratitude. They had heard about the miracle filters and had long requested our assistance. His wife was likely preparing a meal for us. It is not uncommon for some of the villagers to decline getting into the pictures. They are afraid that they will lose their soul through the camera lens. For each distribution, Siphan carefully explains to everyone that this is not the case. Still, some remain skeptical. These sweet chidren waited all morning so they could perform for us….and it was very hot! 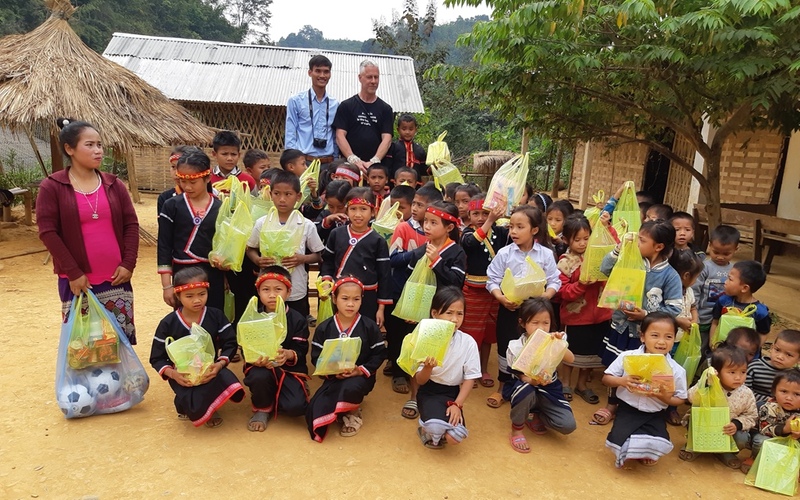 Roland Drake was happy to return to Laos after a several year hiatus and thrilled to donate school supplies to every student in the school. 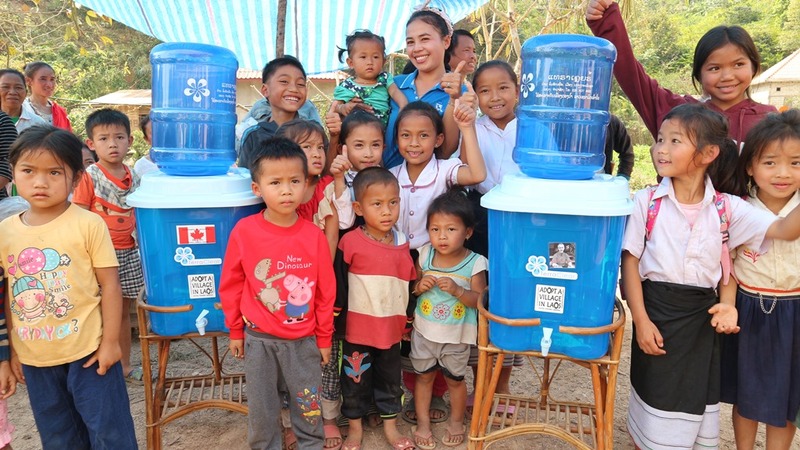 On our last day we stopped in the village of Thong Lom to teach about hygiene and distribute filters to every family. These filters were donated to the school. It was a weekend so there were only a couple wearing school uniforms. It was the end of a long fruitfull trip for our guests and so we celebrated over dinner and shared our versions of what we had seen. On these travelers that dare to step thru Laos door. 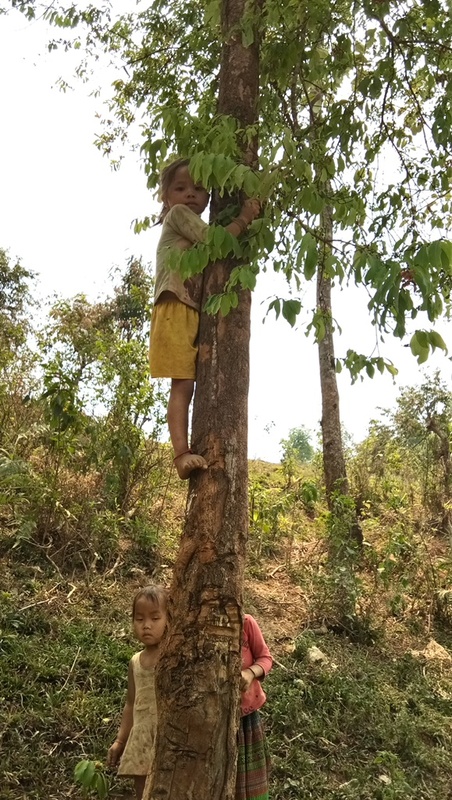 We are but novices here in these ancients parts..
Laos smiled to itself knowing it would steal our hearts. 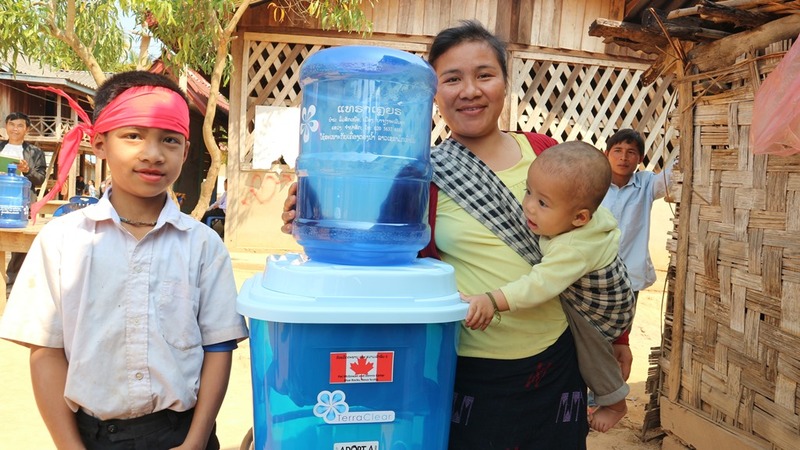 Bringing clean water and a desire for others to have a better day. 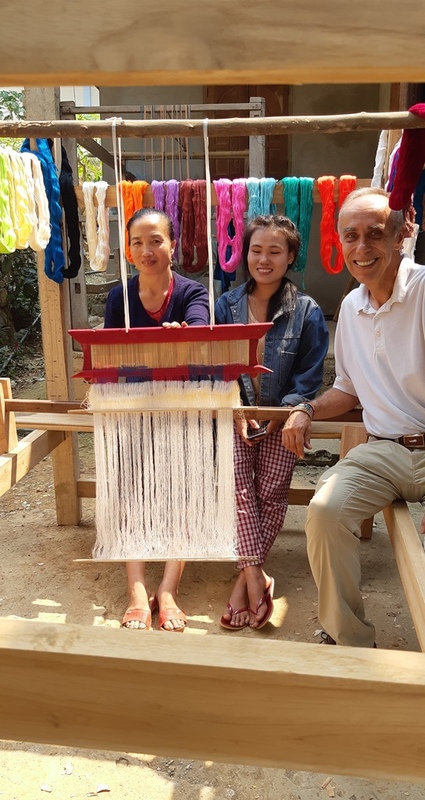 What Laos has given us can never be repaid. The smiles of the elders, the sparkling brown eyes of the child. 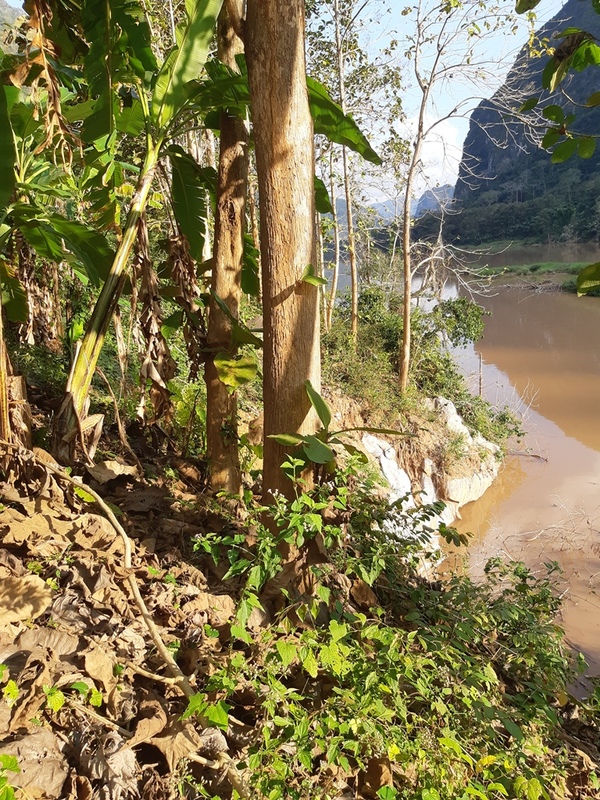 The towering mountains, the brown Mekong rushing wild. As you waken to the temple drums …oh so very wise. And we will live in this dream forever. With so many requests coming in, each requiring a site visit, it is so easy to fall behind. 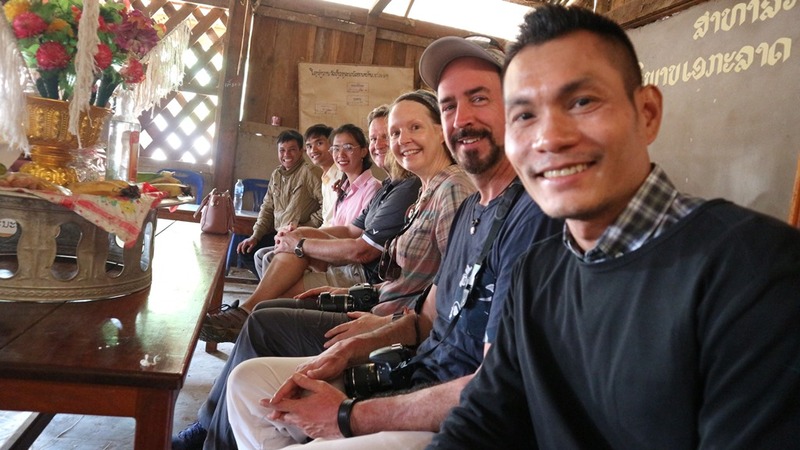 During Mike and Daniels visit, they were sent off on a boat trip to see Muang Ngoi on the Ou River. 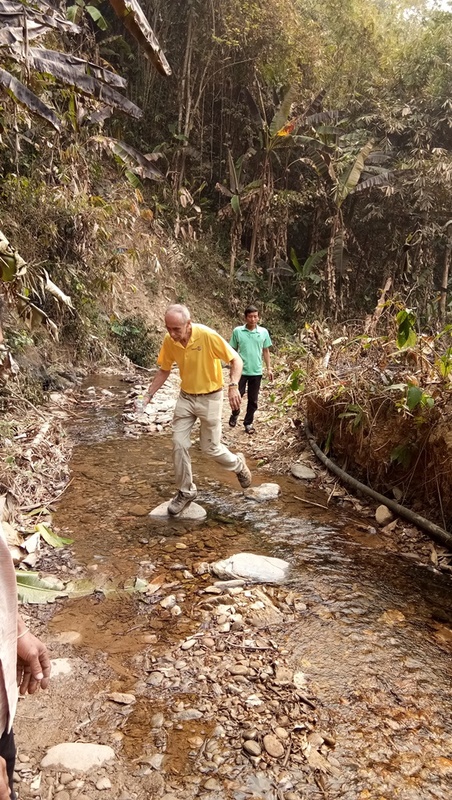 It had been a few years since Mike had been there and it was a beautiful day, so it gave us time to visit three other villages in order to review their requests. 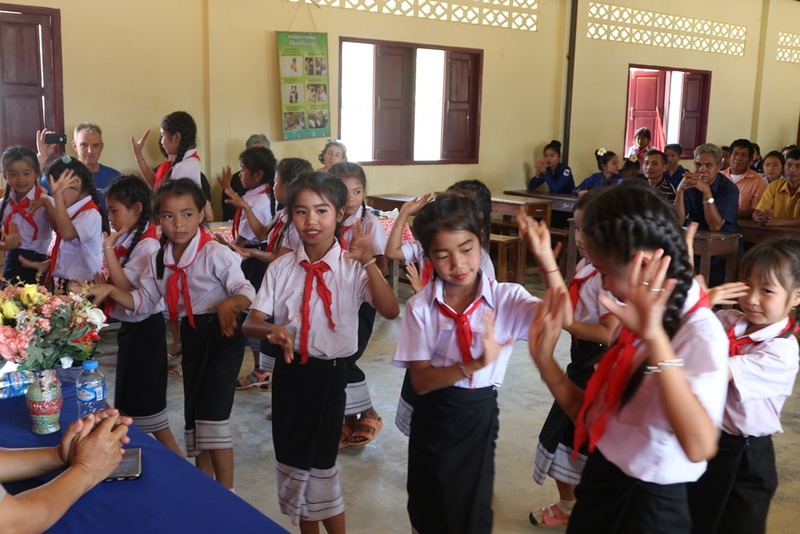 For the first village of Nong Ein, where a small number of uniforms were dropped off to their small primary school. 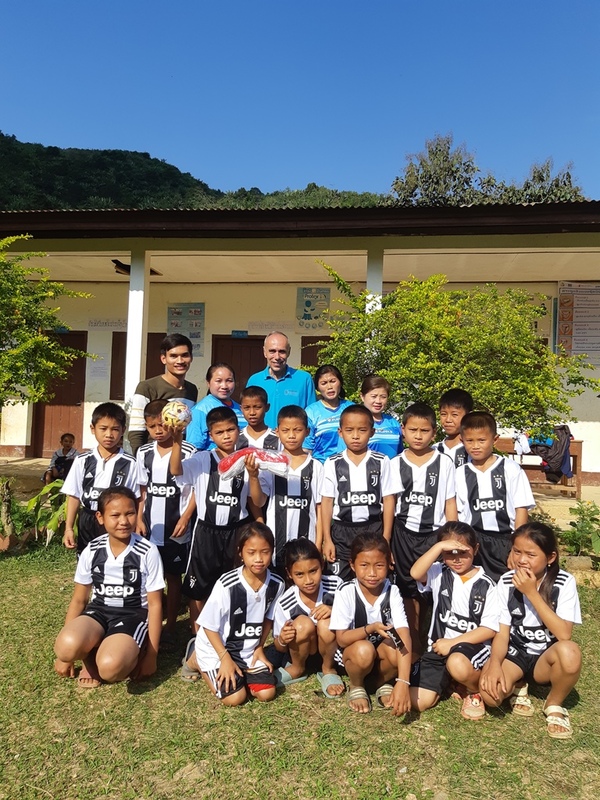 This would allow them to compete in the primary school sports championships in Nong Khiaw coming up next month. Uniforms are inexpensive here and without them, this poor village simply would not be invited to compete. 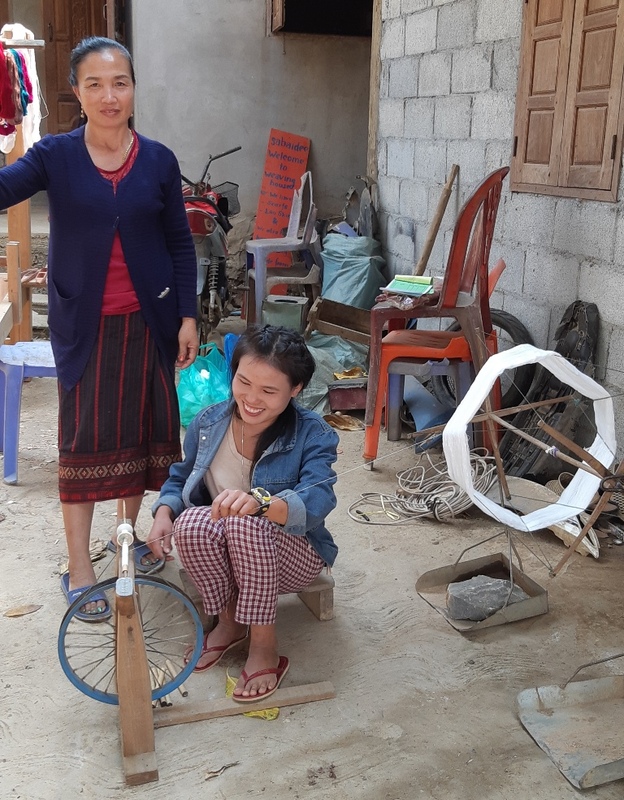 Two rattan balls and a net were also donated. The team will be playing rattan ball and soccer against other villages in the Ngoi district. 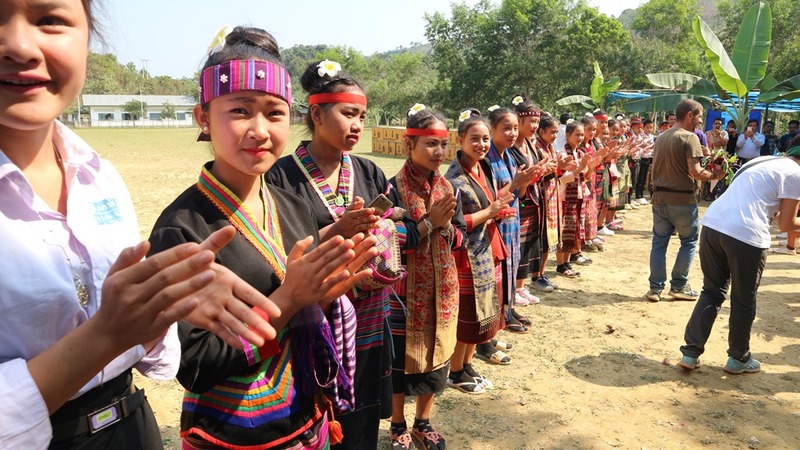 Sadly, many other rural villages will not be able to participate because they don’t have uniforms. 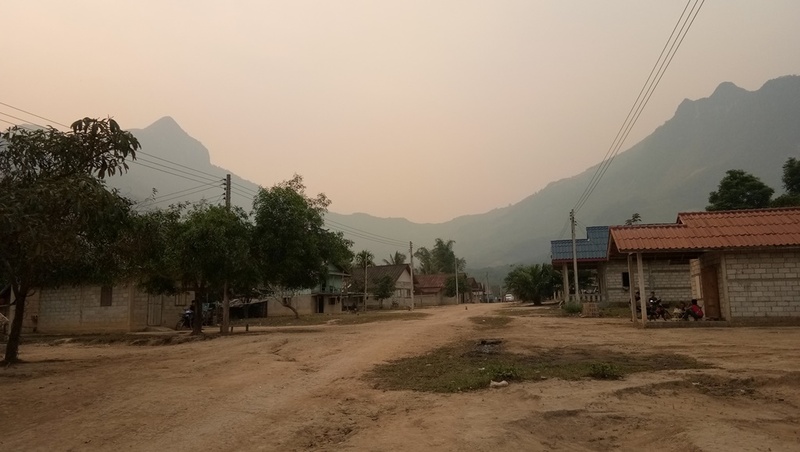 The second village we visited was actually just south of Nong Khiaw. 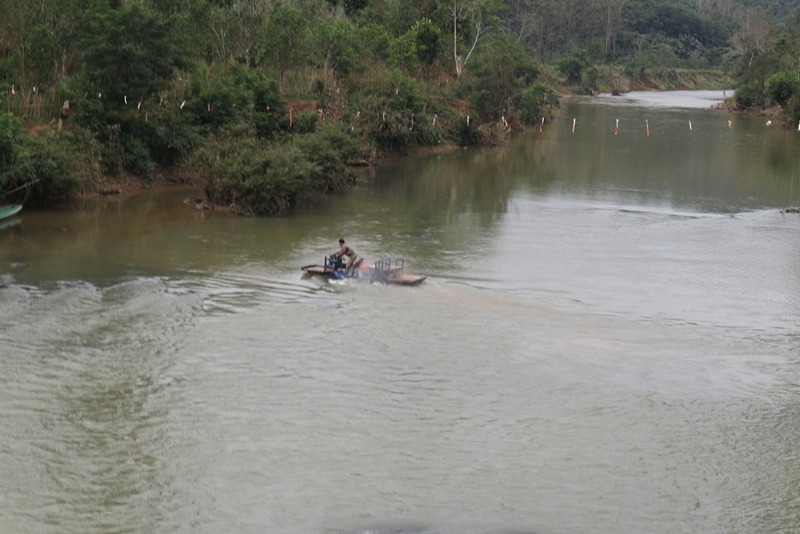 As we arrived we had seen that portions of the riverbank and road had fallen into the river (August monsoons). There had been a temporary fix for one larger section, certainly not enough to withstand another monsoon. In the other section, one lane had dropped out – the only protection was five or six skinny saplings in bright green bags blocking the lane that had fallen out. 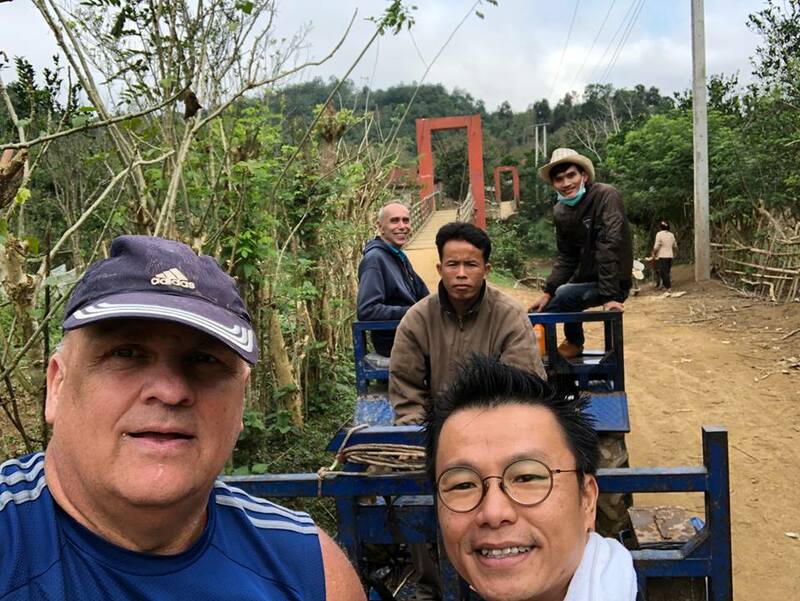 The villagers have asked for help as we walked about 300 metres at the side of the road and climbed through the barrier fence to review several properties. There was almost no property left. Their entire property was pretty much washed away. Imagine your property being 20-30 metres deep, all washed away except 3-5 metres (where the road wasn’t washed away too). It is difficult to understand the magnitude of the damage but here you can see a small island to the right of the picture – there was no river there before. It wasn’t particularly easy keeping one’s balance on the edge either. This is a slightly better view – the tree stumps used to be on the land owned by villagers. This was taken near the edge of the lane that fell out into the abyss. You will notice in the top left corner, new water pipe that has been run, supported by temporary cable. We visited a third village that was particularly hard hit, even more than this one. As we approached the village, there were so many mudslides, visible by the lack of growth on the sides of the steep hills. This village lost several huts into the river and 41 others had serious damage where they could no longer live there. Fortunately the villagers heard it coming and evacuated so there were no deaths. 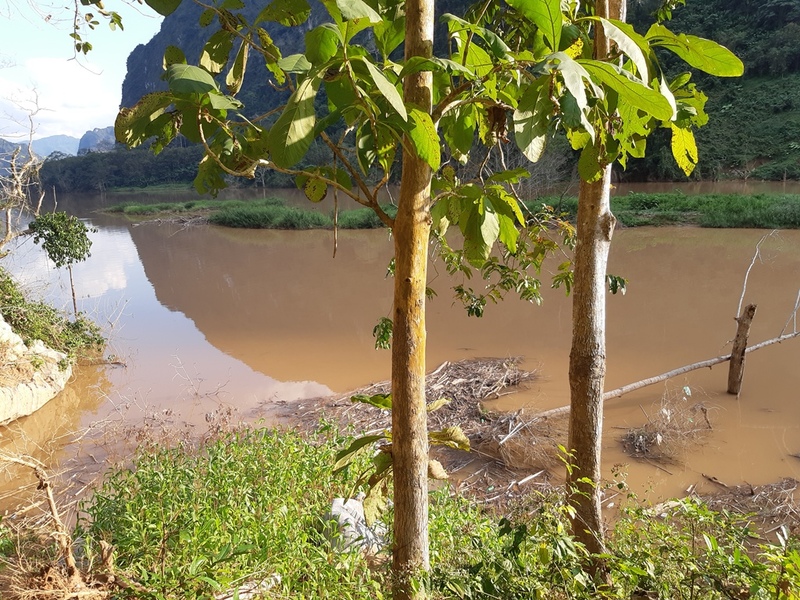 The government has since cleared a piece of land that they would like the villagers to move to, since the whole village has to be relocated but in our view, it is just too low and too close to the river itself. The villagers are very nervous about moving there. 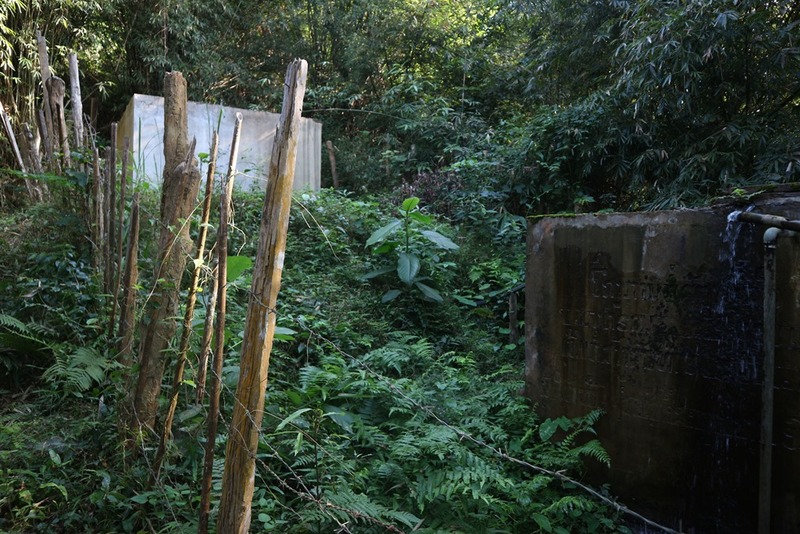 In addition, the local graveyard is located right above the cleared area and villagers are worried that their ancestors will wash over the village. 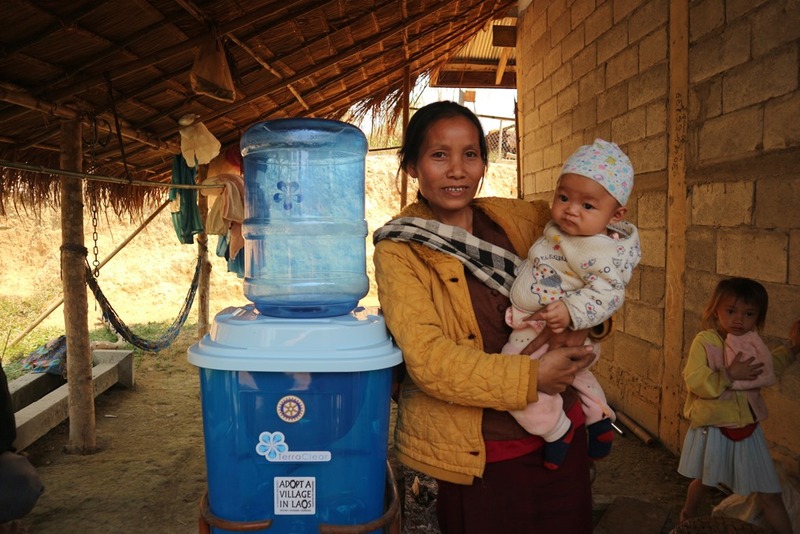 We have decided to put them onto our list for water filters when additional funds are raised and will wait to see how things progress before committing more funds for additional projects there. 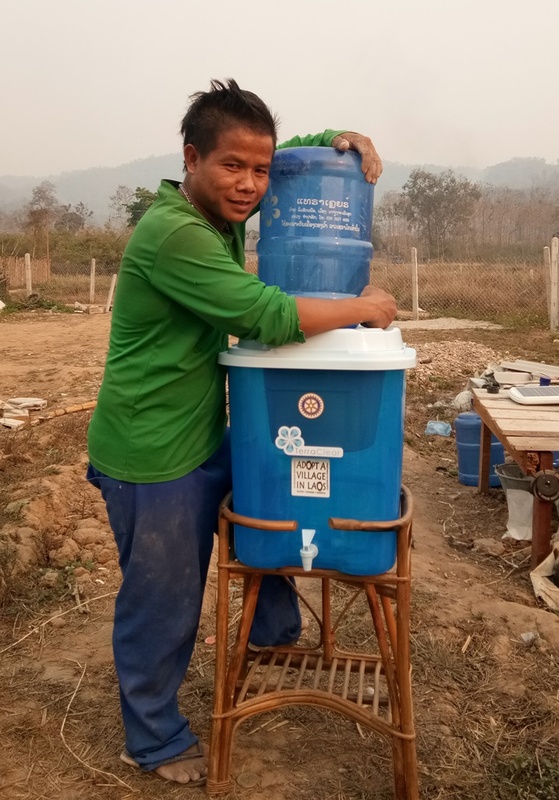 Since arrival in Laos in December, the organization has been inundated with requests for repairs or full replacement of their village water supplies. With over 30 requests to date, it is disheartening to know that only a few villages will receive help this year, being the only NGO in the Districts where most of our work is done. Mother Nature has not been kind to them. 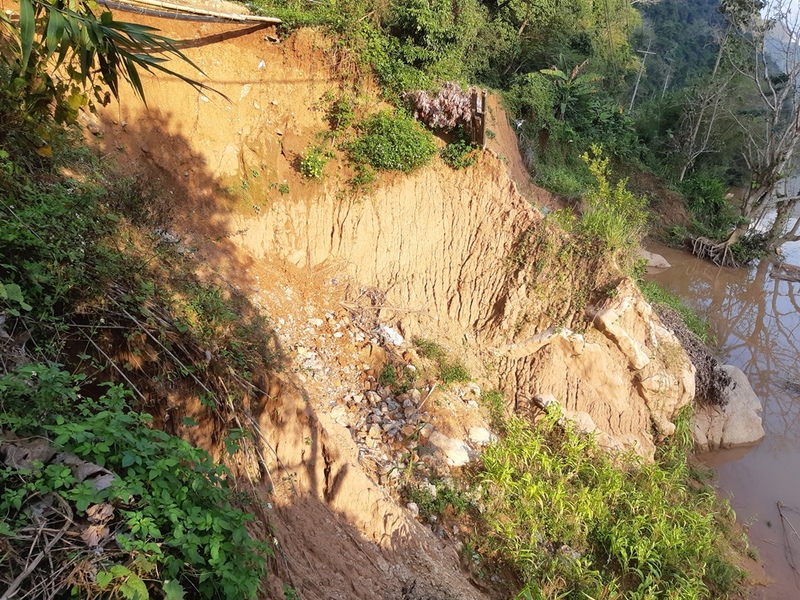 Travelling north of Nong Khiaw, the resulting damage is even more widespread, and at each turn, markings of another mudslide has changed the landscape. As such, our mission had never been more critical. During our most recent trip, we took friends, Mike and Daniel with us. 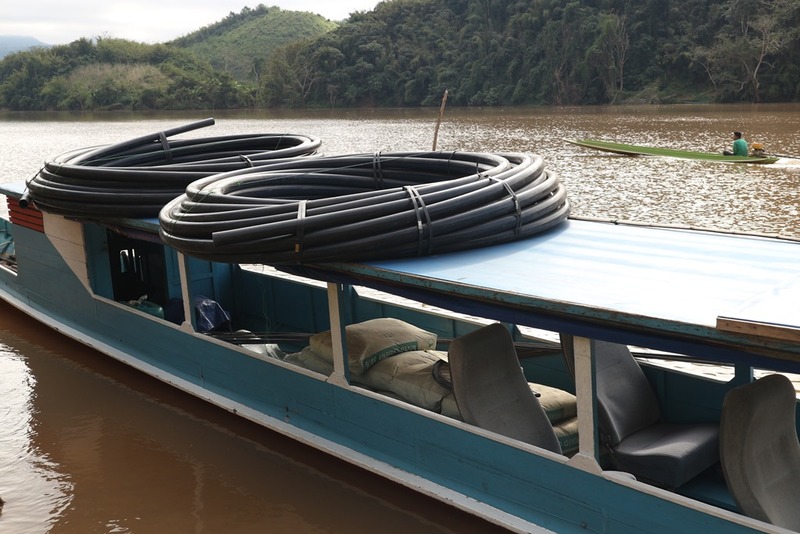 For the first stop, rolls of pvc pipe, connectors, tools, cabling, steel rods (reebar) and cement were loaded onto a boat in Nong Khiaw (about 4 hours north of Luang Prabang). 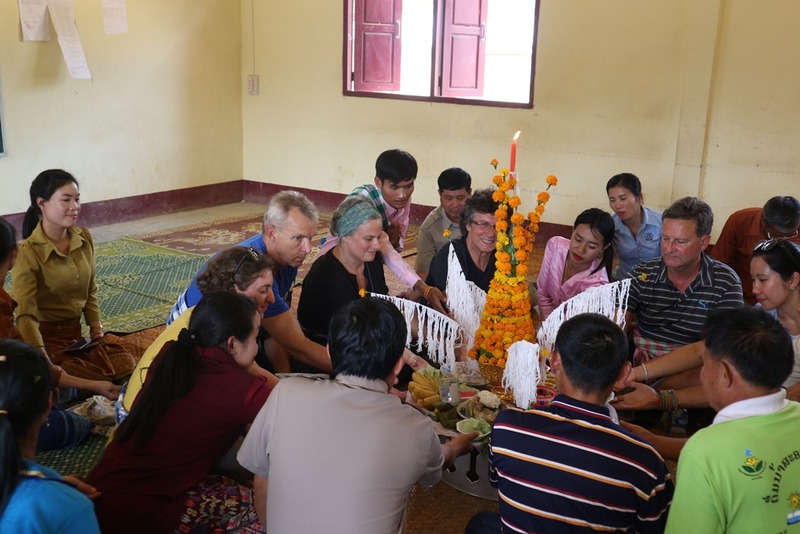 From there our group transported it to the village of Had Huan. In the village, a preassigned group carried everything up to the community centre. It was amazing to see 50kg bags of cement being carried up the very steep riverbank. 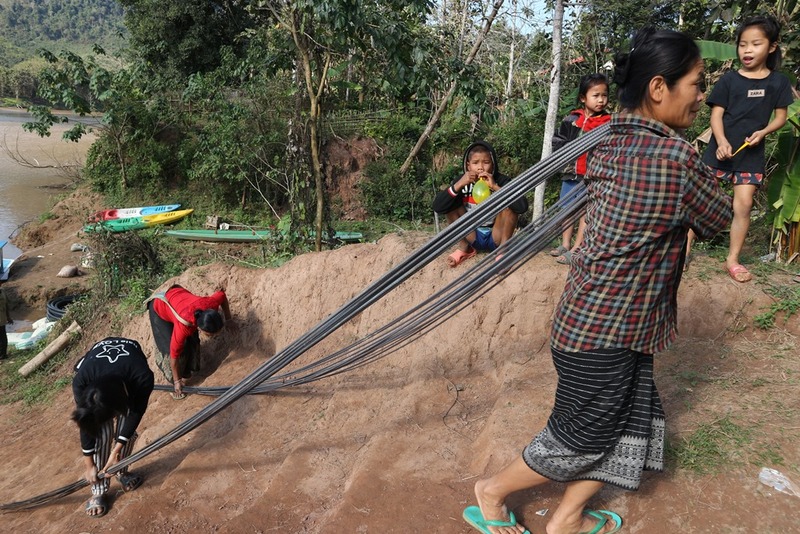 Yes, three women dragging reebar up the riverbank. The men carried the 50kg bags of cement. It was quite a struggle to fit the rolls of pipe in between the houses. Three of the cement handlers taking a break – they are small but mighty. We took a walk to their water tank and something instantly stood out. They had built a second water tank (with the guidance of an engineer a few years ago). It was built higher so that the higher part of the village would get water also. The crazy thing was that they ran a pipe from the bottom of the higher tank to the top of the lower tank using the same output location. So while the lower tank is full all the time, there is nothing in the upper one. Duh! This is just one example of poor engineering. We will fix that of course. We visited several places but this one had been promised a visit several times. Rain kept postponing our trip due to the high river that was in between us and the village. The only way to get there for all of us was by tractor and road itself was surprisingly good. The first part of the ride was quite short to the suspension bridge. Siphan showing us the wobbly, uneven, span of the bridge. Several slats were broken or missing so special care had to be taken with every step. This bridge is also used for motorbikes. Meanwhile, the tractor was driven through the river… Glad the group walked across the bridge or we would have been pretty wet. One more hour on the tractor to the village to review their urgent requirements. We wasted no time in getting right into discussion with the chief and other villager elders. The job will be a little bigger than thought. 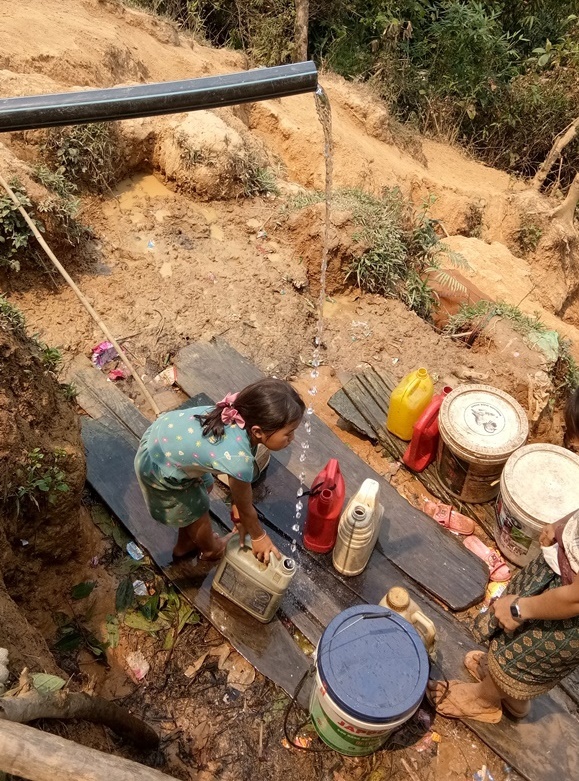 First, the existing tank is much too small for the village, but the main issue is that their dam is totally destroyed from yet another mudslide. We will have to make a choice. We can build a sister tank and rebuild a similar dam slightly further up the same river, at a lower cost, or build a dam 4km away in a much larger river and of course at a much higher cost. 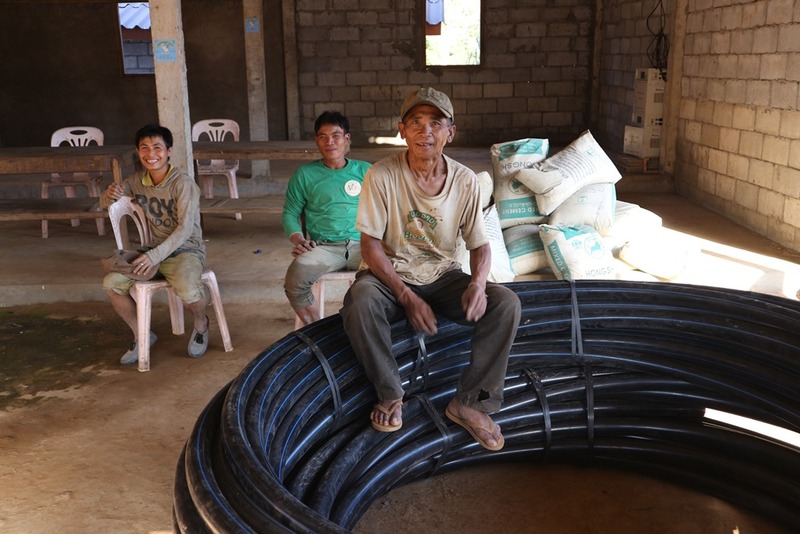 We are waiting to discuss with the engineer, but if the engineer decides it needs to be the latter choice, the villagers will have to wait until the next season for us to raise enough funds for it. Organizers reviewing the options and materials lists. This gives you an idea of the widespread flooding that happened during the monsoons. 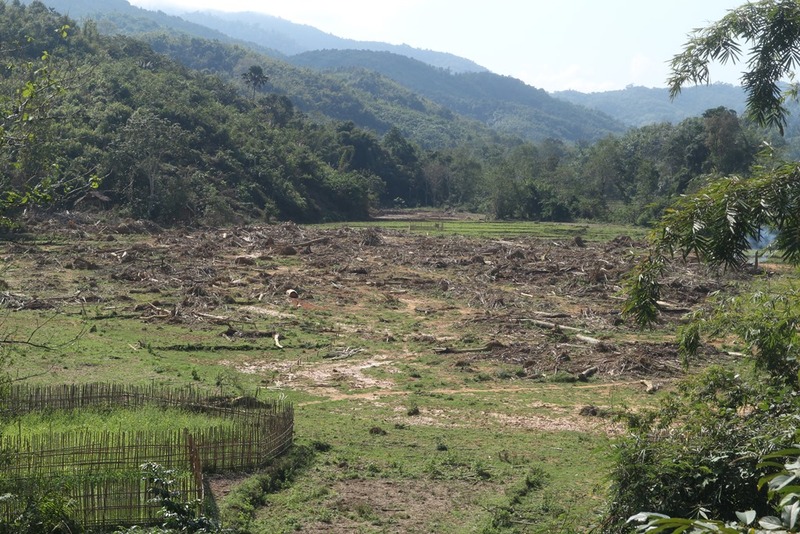 That was a rice field, now covered by logs and trees that floated into the area from the mudslides. There will be more pictures of the other places visited in our next post. We originally met Daniel Tan Cheng Leng at the airport in Vientiane, while waiting for our next flight out. He came to see us there and buy us a quick lunch and so we would get to know each other a little bit better. During our last multi-village excursion, he flew out to join us. 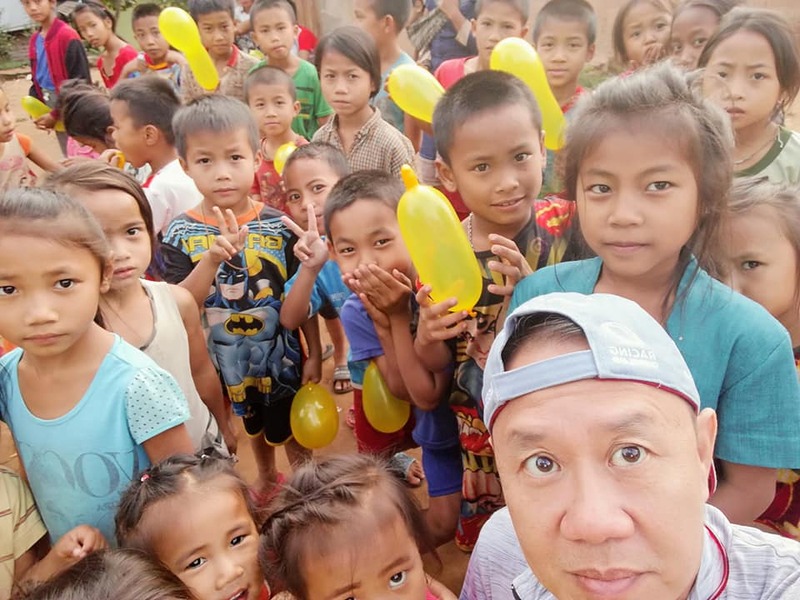 Daniel is originally from Malaysia, now living in Vientiane with his wife and volunteers with a charity in Vientiane for dog and cats with special needs and seniors. 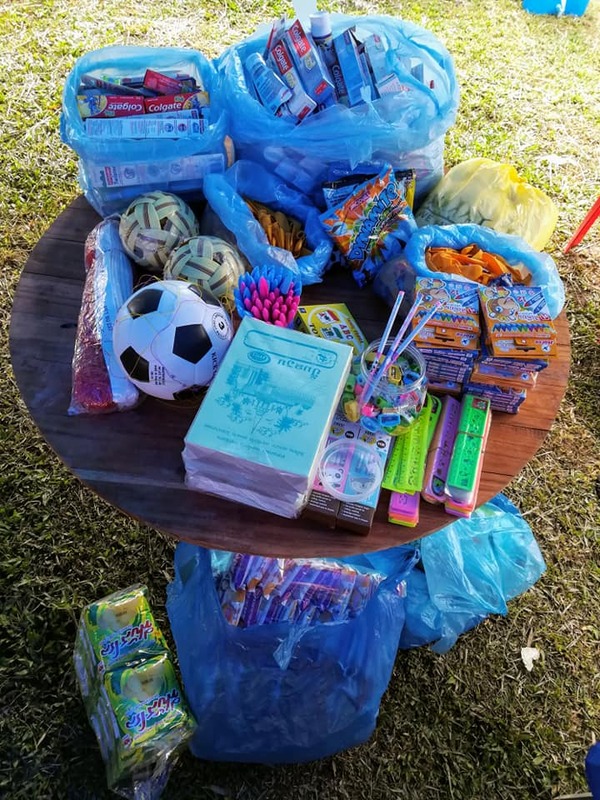 He has a special place in his heart for children too, providing children with school supplies whenever he has spare cash, as evidenced by the pictures below. I think he is in his element. It wasn’t enough for him to provide school supplies as you can see. 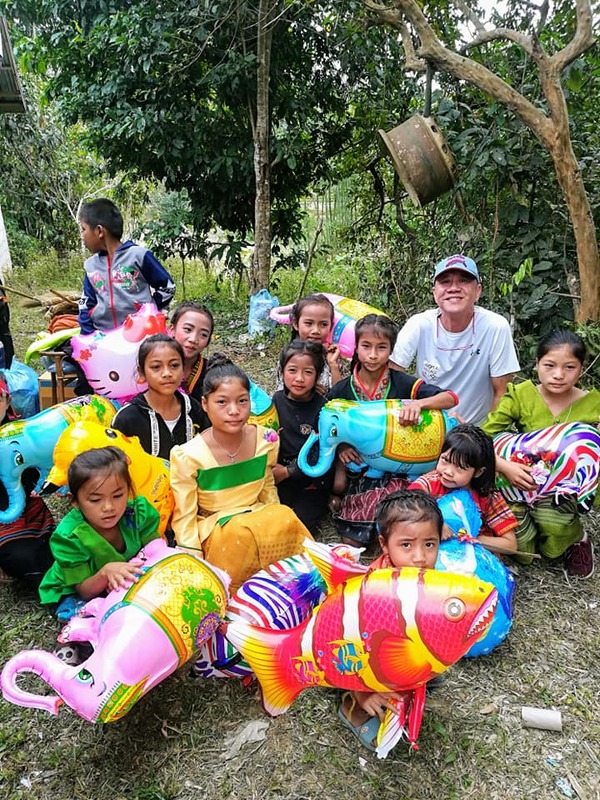 It was Khmu New Years in this village of Vung Hin so I am sure he made the balloon vendor very happy too. Thank you Daniel for everything you do! We look forward to seeing you with future endeavours together.